When personal lives and professional ambition collide, Rookie Officer Elizabeth Noble and her disgraced training officer, Tom Dekker will have to choose: which side of the thin blue line will they land on. Elizabeth is determined to start her new career off right by making no mistakes, taking no chances and definitely not leaning on her boyfriend’s vast experience. Jack’s been an undercover narcotics officer for two years but Elizabeth wants to make a name for herself and on her own merit. She vows to keep her personal life separate from her professional one but she quickly realizes that Jack is a valuable resource in an investigation and she wonders how long can that compartmentalized life really last? Dekker has been demoted from his rank as sergeant of the vice unit after a routine buy bust led to a drug dealers death and a missing informant. Now all he cares about is making it through the last few years to retirement without further embarrassment. 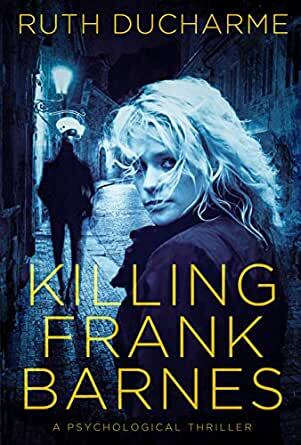 When he and Elizabeth take a call of a vehicle fire in their beat, Dekker quickly discovers the dead body inside is not only a murder victim but tentatively identified as his missing informant. Can he figure out what really happened that day, two years ago, and clear his name? This author instead of just sitting down and writing has obviously done all the hard work needed to hone her obvious talent into becoming a strong author who can write a good book. There are a lot of surprising plot twists, which I liked. It's obvious to me that the author has some background in police work because the settings were so realistic, as were the characters. Strong original plot I enjoyed reading this book. 4.0 out of 5 starsA satisfying, easy to get into, story of police work gone wrong, and right. First novel from an upcoming, enthusiastic author. Read it in two days, as I was anxious to put the puzzle pieces together. The ending had me on the edge of my seat. Looking forward to future stories from Ruth DuCharme as she progresses with her suspenseful tales of police drama. As an officer and detective I immediately felt connected to the story. Hard to set this book down. Fun to read. You left me wanting to know more about the characters and their stories. Can’t wait for more of your books Ruth!